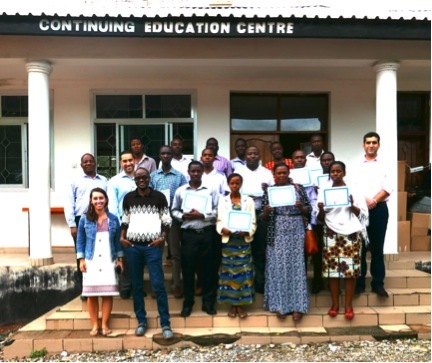 We were thrilled to pilot our first District Hospital Training at Sekou Toure in Mwanza, Tanzania in December 2015. During the day long training, we convened 17 doctors, medical officers and surgeons representing every district in the region. This was the fist time many participants had met or been to their region’s primary referral hospital. Lecture topics included: wound care, splinting, and other pre and post-operative skills. Our surgeon educators collaborated with our local partners at Sekou Toure to perform a skin graft procedure as a demonstration for attendees. After a full day of training, participants received certificates and have been welcomed into our Mission: Restore Surgeon Network. We are thrilled with the outcomes from this pilot training and have received very positive feedback from participants. Based on this success Mission: Restore is planning to coordinate additional regional trainings in 2016.